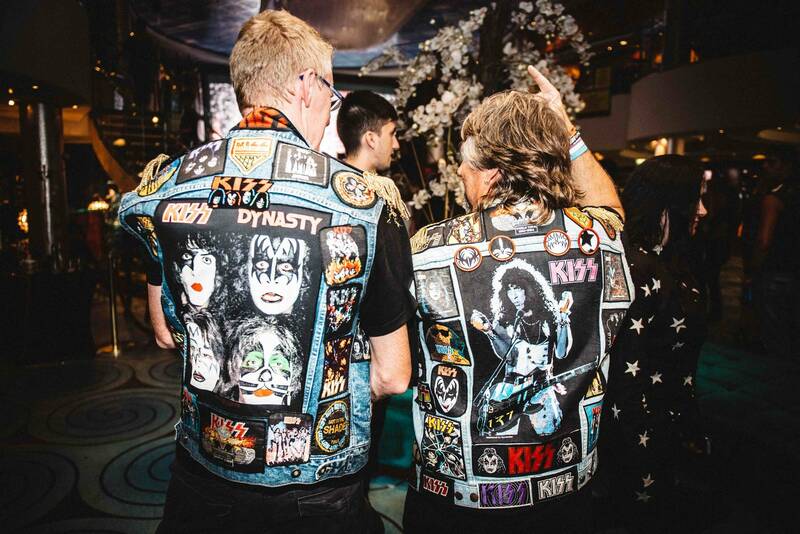 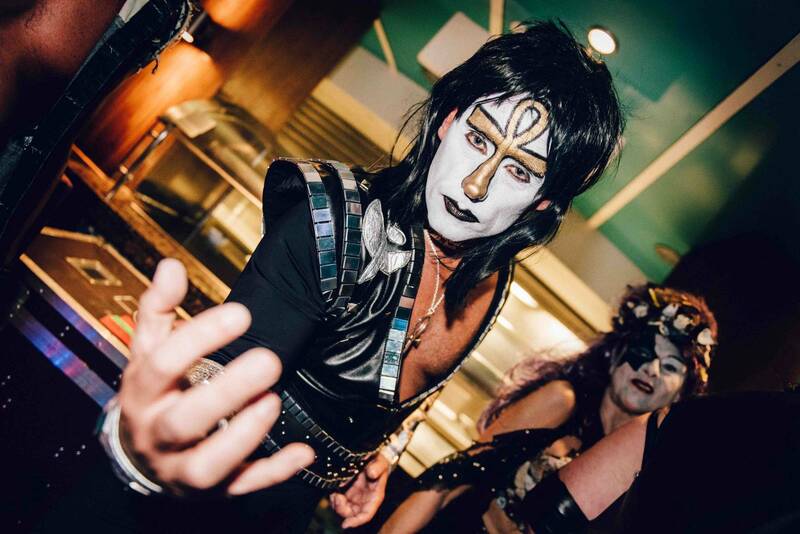 Day 4 on The Kiss Kruise: Today the Norwegian Pearl reached Grand Cayman. 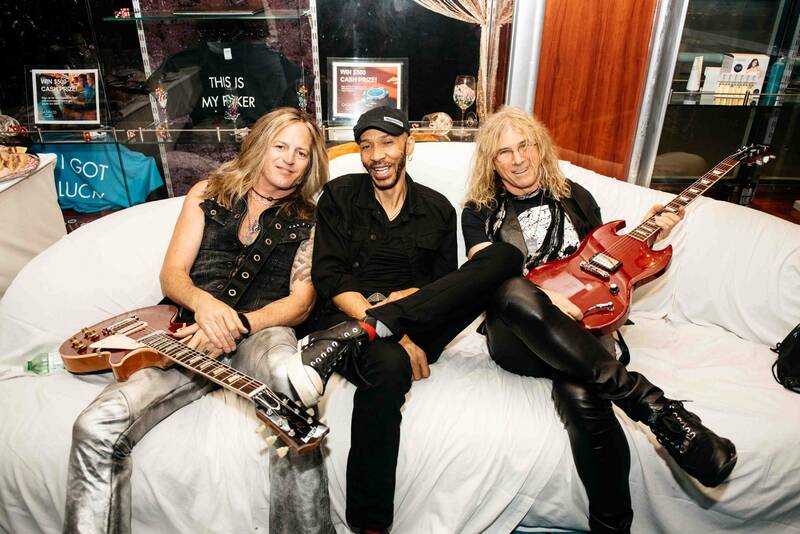 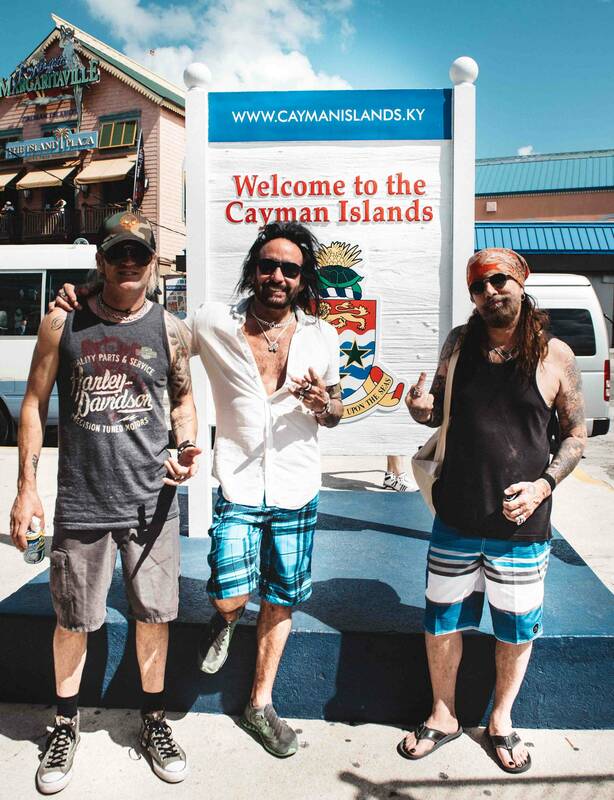 The guys checked out the island of course, again with King’s X’ Doug Pinnick in tow. 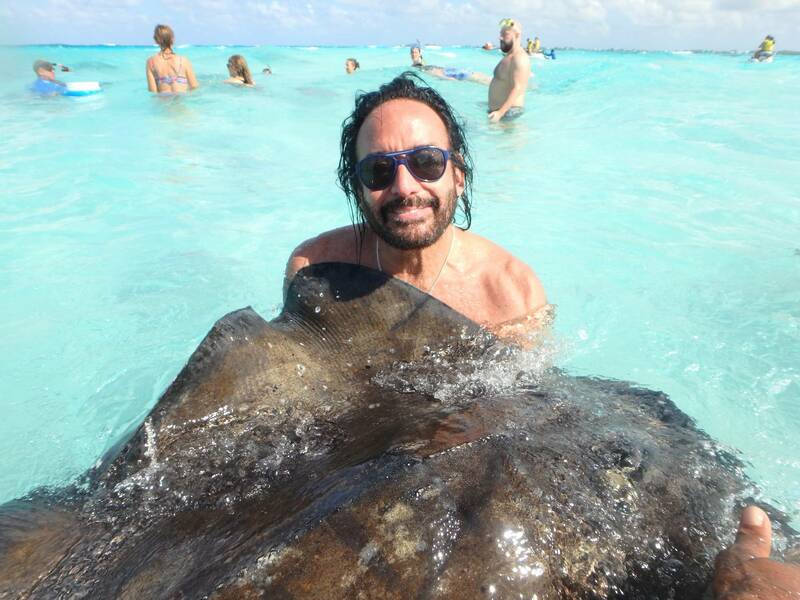 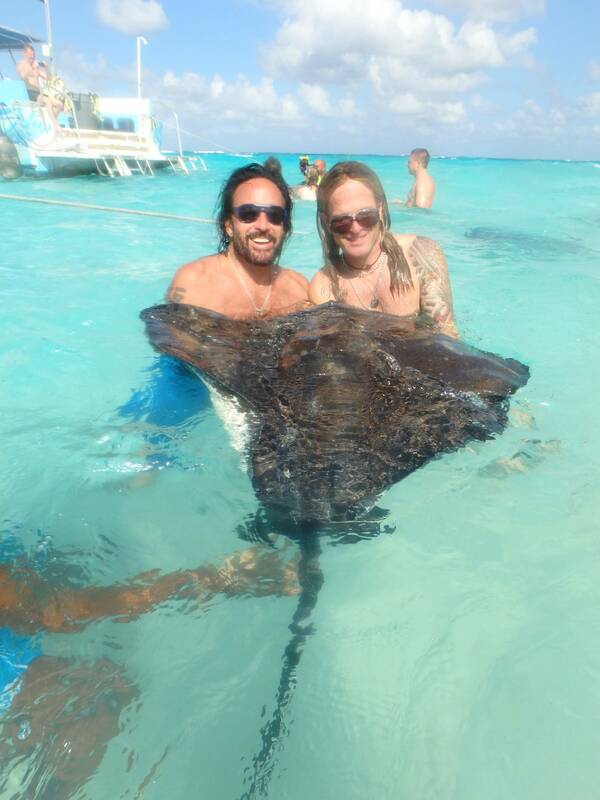 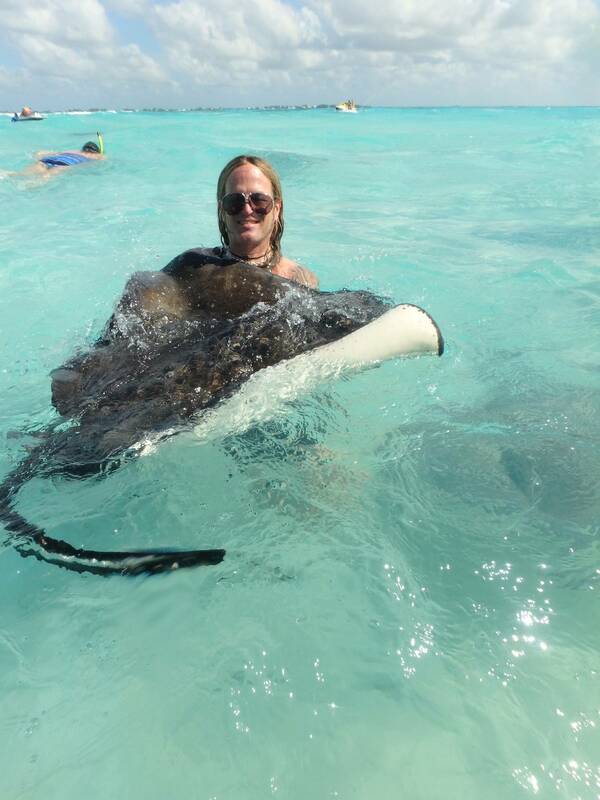 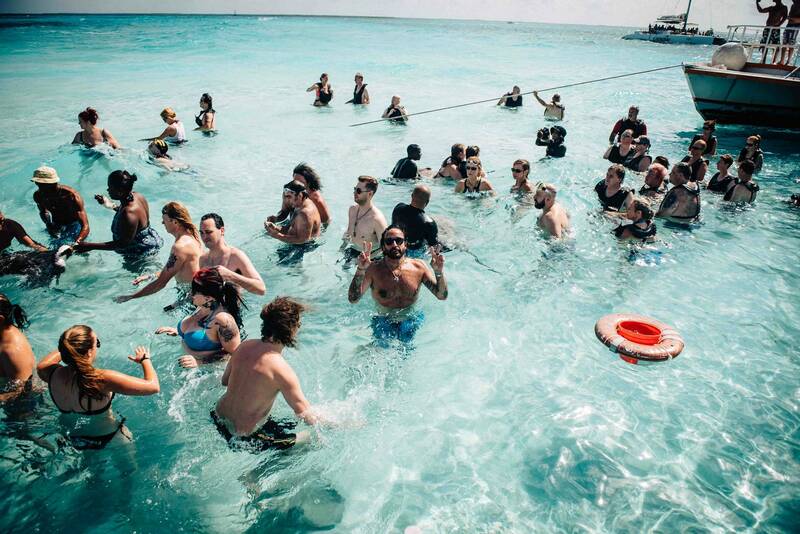 The coolest part: Swimming with the stingrays! 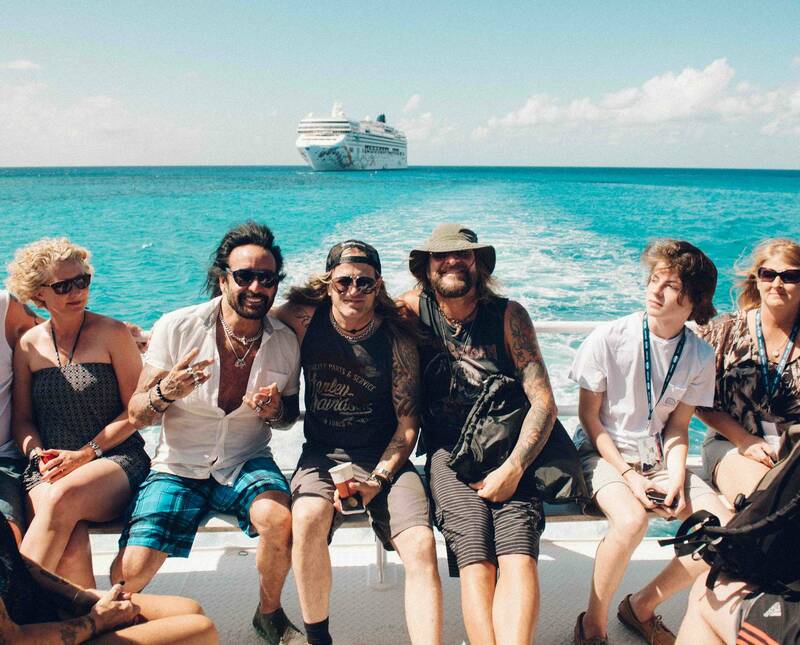 Just check out the photos! 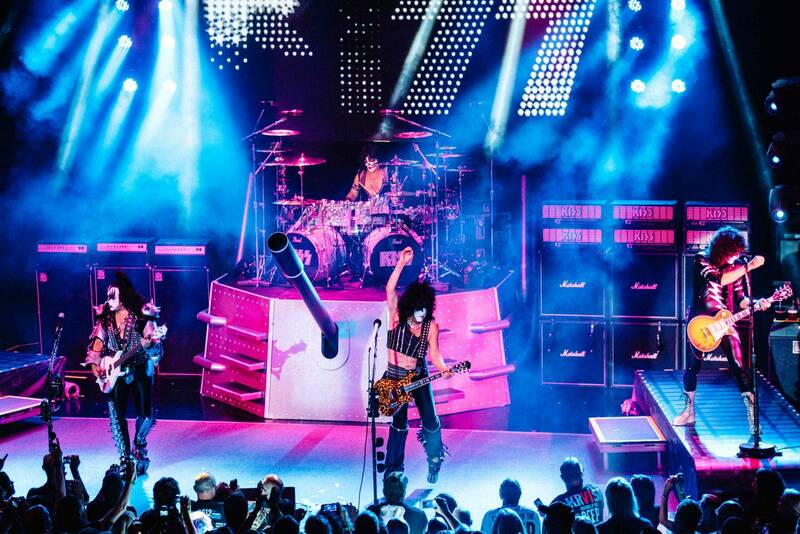 At night, KISS played another blistering set honoring mainly their classic album „Creatures Of The Night“. 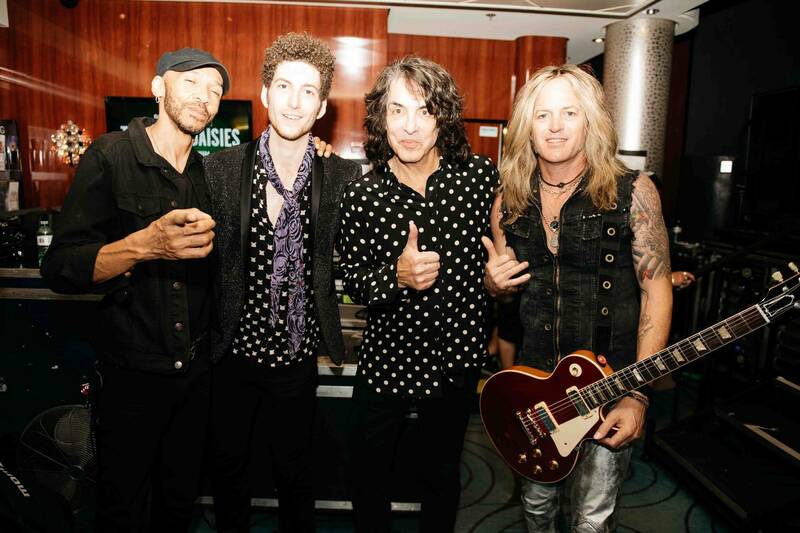 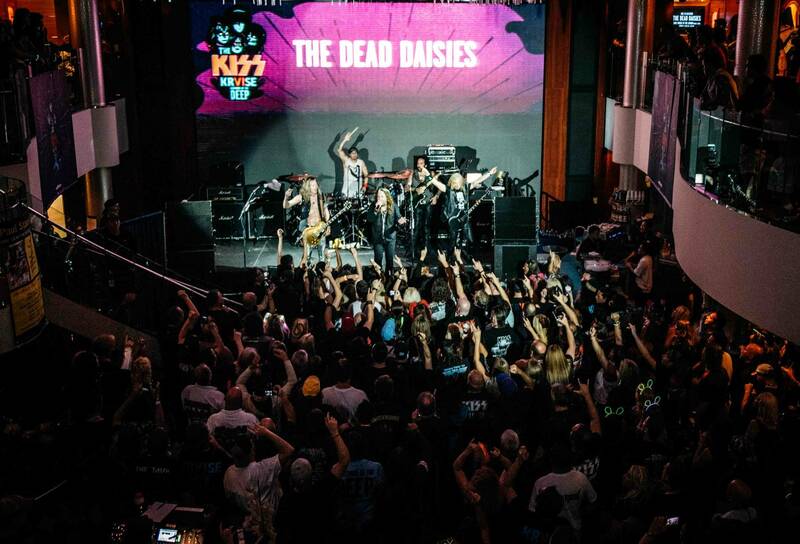 The Daisies show ran a little late, so that gave Doug an opportunity to take a shot with Doug, Evan Stanley (Paul’s son, playing with The Dives) and Paul Stanley himself. 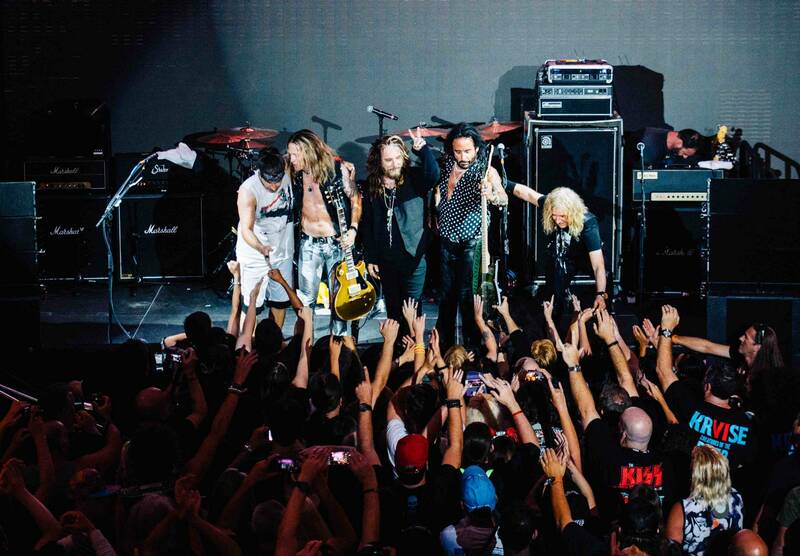 And late hours don’t stop this band from rocking! 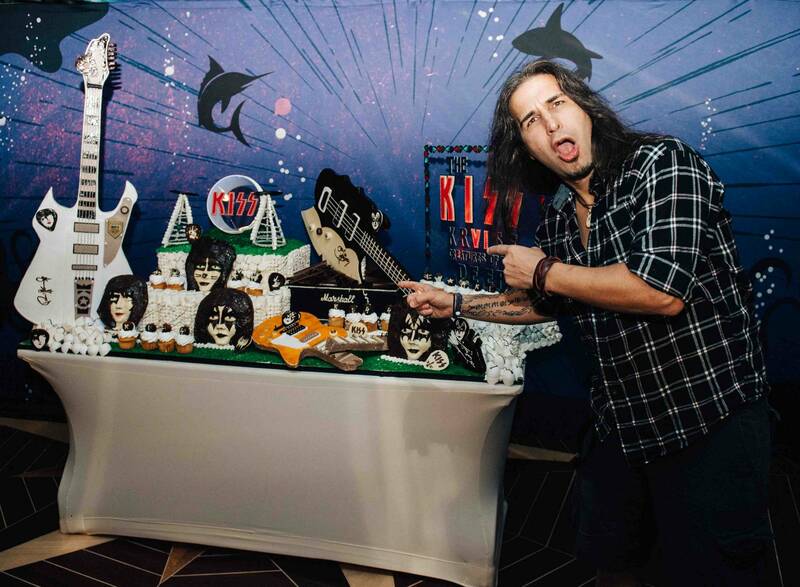 Of course, the guys did a signing afterwards until 3:45 am, but hey… the party was still raging anyway! 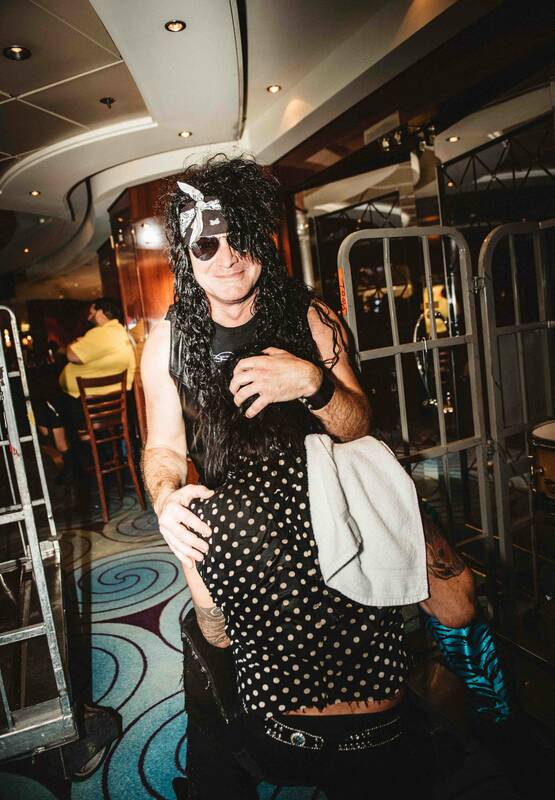 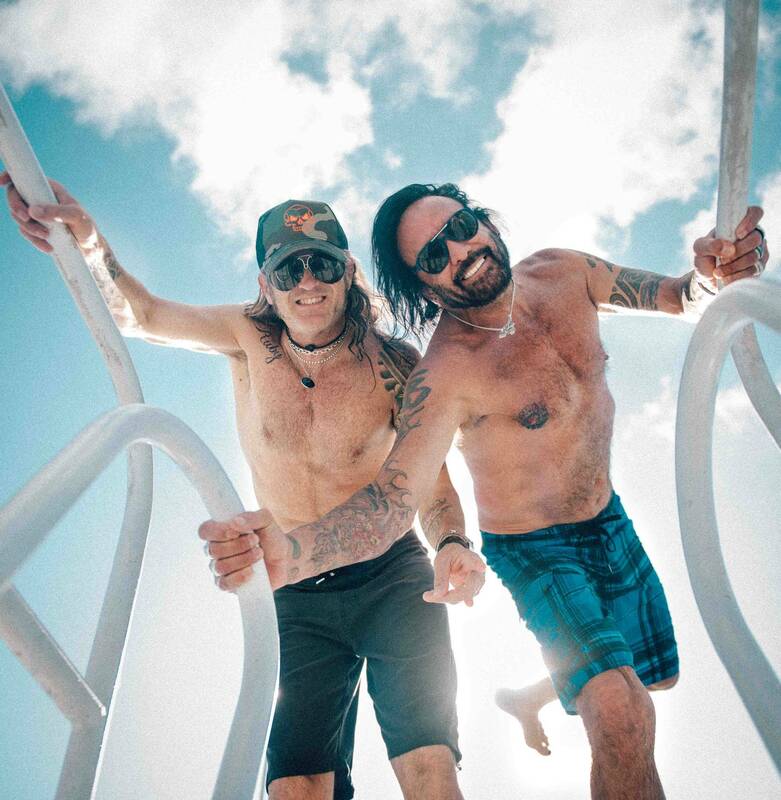 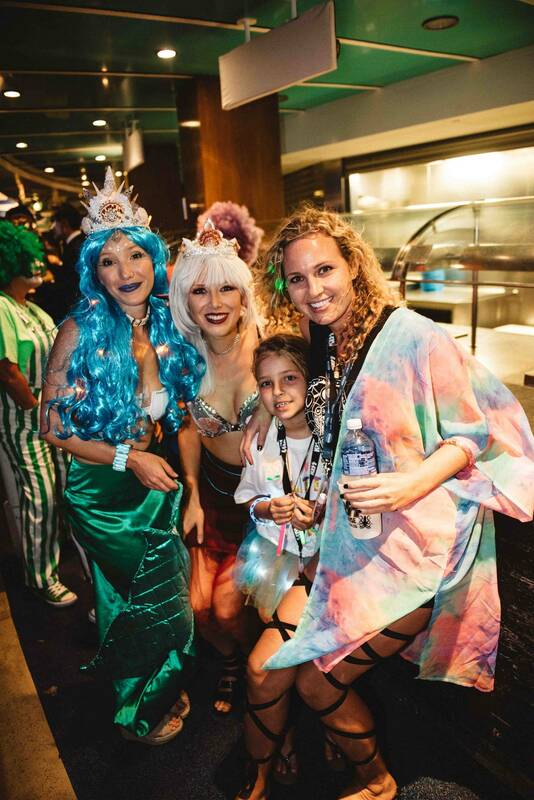 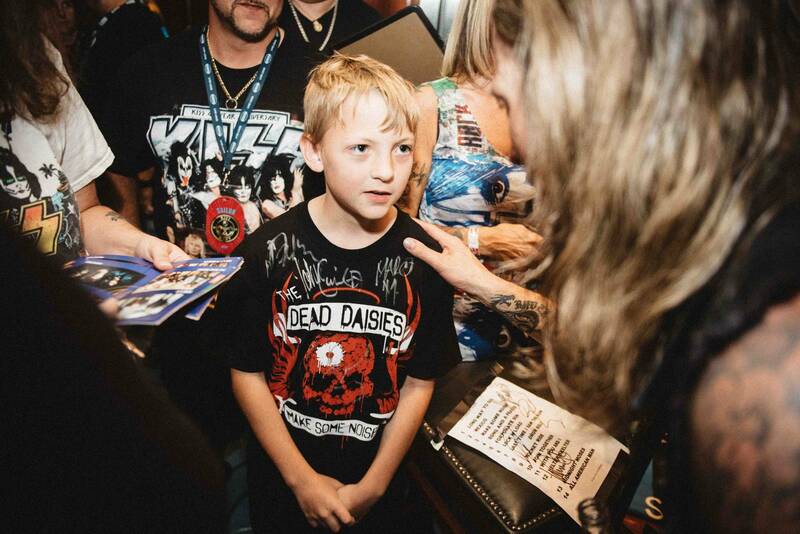 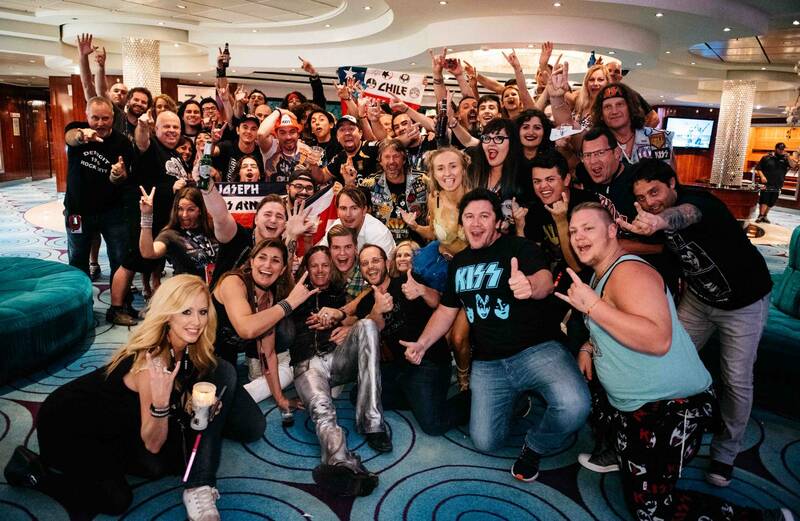 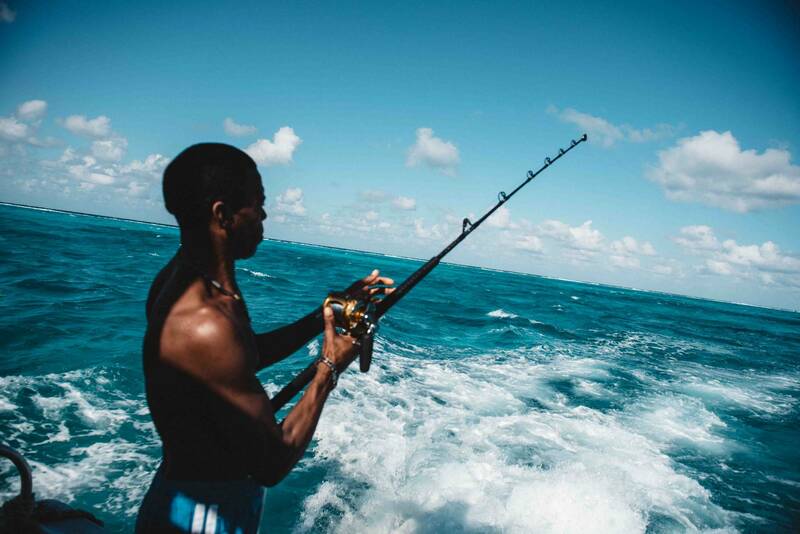 Click here for day 3 on the Kruise!